Disney’s Hollywood Studios will debut new, permanent Star Wars experiences beginning December 1, 2015, and continuing through 2017 until construction on Star Wars Land is complete. The Disney Parks Blog has released information on 3 new experiences. On December 1, the Star Wars Launch Bay, which occupies the former Magic of Disney Animation building, will open and provide sneak peeks and behind-the-scenes looks at the forthcoming Star Wars: The Force Awakens (scheduled for theatrical release December 18, 2015). The new Star Tours program. Star Tours will get a simulator ride based on The Force Awakens. Disney says that during the “opening months”, this will be the only program that runs on the Star Tours simulator. After the initial period, the program will be entered into regular rotation. A session of the now-defunct Jedi Training Academy in action. 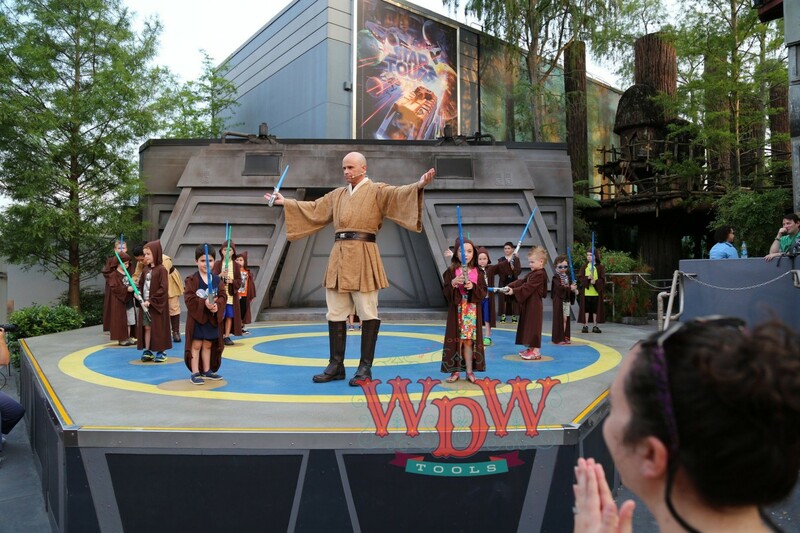 In early December, the currently walled off Jedi Training Academy, immediately adjacent to Star Tours, will re-open as Jedi Training: Trials of the Temple. The new attraction will serve the same purpose as the classic JTA, but the program and set will be refreshed to include the Seventh Sister from Disney XD’s Star Wars: Rebels.